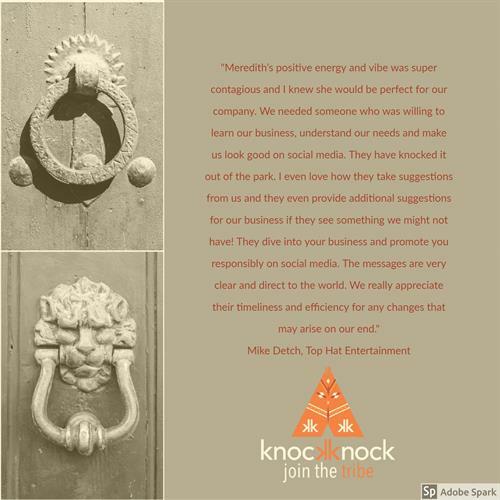 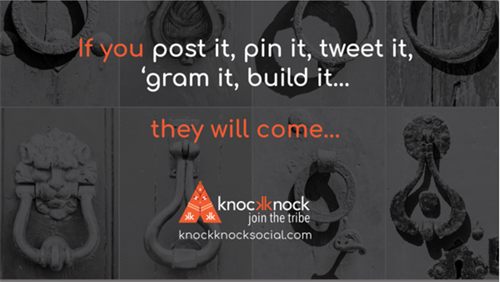 KnockKnock Social is a full service social media marketing team. 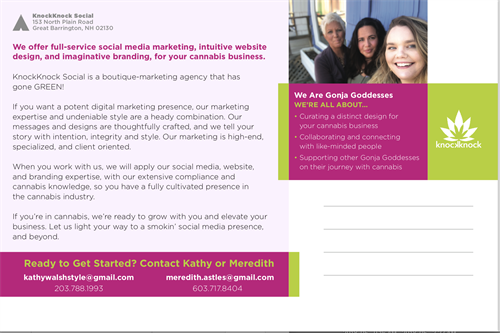 We develop a marketing strategy for businesses and apply that strategy to such sites as Facebook, Instagram, Twitter, LinkedIn, YouTube, Email Campaigns, and many, many more. 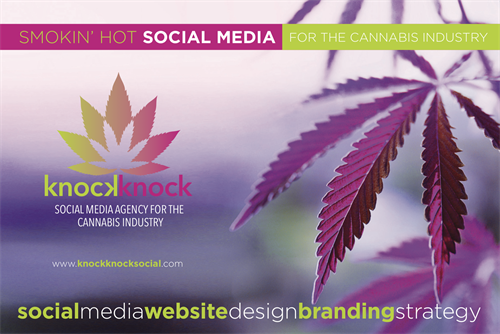 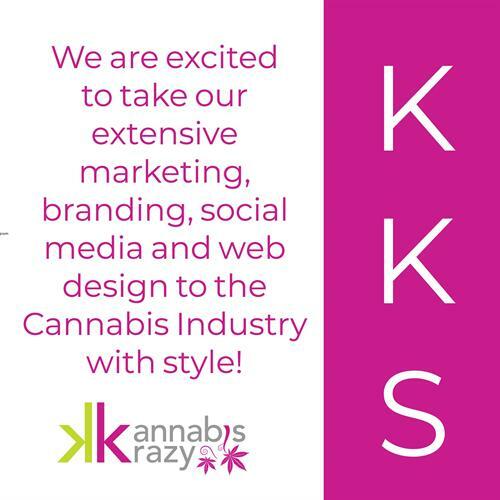 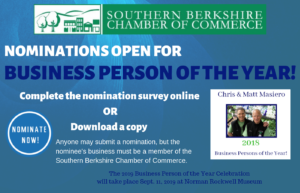 In addition to social media, KnockKnock Social designs websites, and graphics for both print and digital platforms. 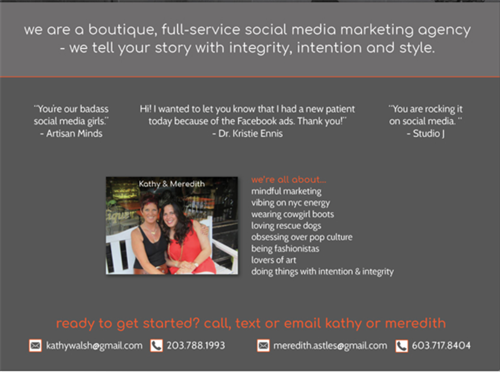 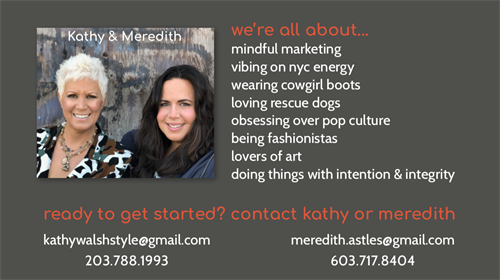 Our marketing strategies build a company's tribe with style, intention, and integrity.